Many people experience pain in their feet. Often this is due to either irregularities in the foot itself or problems with the gait. An orthotic is a device prescribed by a podiatrist and inserted into the shoe. The aim of a custom orthotic is to help correct the movements that are causing foot pain. Orthotics are also used to protect the foot in areas that are painful or sore. If you experience pain due to foot irregularities or problems with your gait, Los Angeles podiatrist Dr. Jamshidinia can help. An expert in custom orthotics, Dr. Jamshidinia can assist you in finding the custom orthotic that fits your needs. Simply schedule a consultation to get started. His office is located in Los Angeles and easy to reach from West Hollywood, Beverly Hills, Santa Monica, and anywhere else in the LA area. A number of different orthotics devices exist to treat problem foot conditions. Custom orthotics are formed to each individual foot and thus only work for that foot. The primary goals of custom orthotics are to alter the wearer’s foot position and protect sensitive regions of the wearer’s feet. Rigid orthotics are some of the most commonly used. The purpose of rigid orthotics is to help the foot to move differently. To accomplish this task, they must be made of hard – or rigid –materials such as carbon fiber or plastic. Rigid orthotics are typically used in shoes with a very low heel. They run the entire length of the shoe in order to stabilize the foot and correct any mechanical issues. Rigid orthotics work best to alleviate the pain caused by improper foot movement. While this pain starts in the foot, it may also extend to other areas of the body, including legs and back. Soft orthotics are another popular type of orthotics. These are used to protect and alleviate pain in the tender or vulnerable parts of the foot. Soft orthotics are typically used to relieve pressure from weight-bearing areas such as the heel or the balls of the feet. They are made from soft, compressible materials and are inserted into the shoe along the bottom. Because of the material used to make them, soft orthotics tend to be less durable than rigid orthotics. Patients who use soft orthotics range from workers who spend a lot of time on their feet to people who lack protective cushioning in their feet due to deformity or disease. Semirigid orthotics or sports orthotics are a combination of rigid and soft orthotics. Like rigid orthotics, they have a hard bottom layer and are custom made for each individual wearer. However, like soft orthotics they also contain padding. The purpose of these orthotics is to provide protection, support, and mobility for athletes. Depending on the sport, semi-rigid orthotics can vary widely in appearance and design. There are even custom orthotics specifically designed for use with other types of athletic footwear. These include ice skates, skis, inline skates, and other footwear designed for edge-control movement. Custom orthotics for these sports are similar to the semirigid orthotics used in other sports. Children may also need to use custom orthotics. The most common reason children need orthotics is early childhood deformity. The goal of orthotics at this age is to encourage the foot to correct itself without the need for surgery. Because children’s feet are still growing, their orthotics typically need to be replaced every two shoe sizes. In a recent study of children suffering from juvenile arthritis, those using custom orthotics had less pain and moved around better than those who didn’t. Q: : Who can benefit from a custom orthotic? Orthotics are an excellent tool for alleviating and eliminating foot pain in people of all ages. Anyone who experiences frequent foot pain may benefit from a custom orthotic. Q: Can I wear orthotics even if I don’t have trouble with foot pain? Absolutely. Nearly all of the top athletes do just that because it helps them avoid injury and potential pain in the future. Q: What is the difference between the footbed padding in my shoes and an orthotic? While the typical footbed in a shoe is designed to absorb some of the shock of walking, they do nothing to correct mechanical issues, gait problems, or foot irregularities. Orthotics are specially designed to address these issues. Q: What conditions can orthotics treat? In addition to more severe deformities and diseases, orthotics are also an effective way to relieve the pain of common foot ailments such as calluses and corns, bunions, heel pain, Achilles tendonitis, and more. 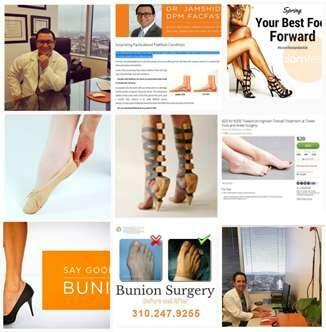 More and more people are discovering the benefits that come from quality custom orthotics. If you suffer from foot, ankle, or even leg and back pain, custom orthotics might be just what you need. Simply contact Dr. Jamshidinia for your consultation in Los Angeles. 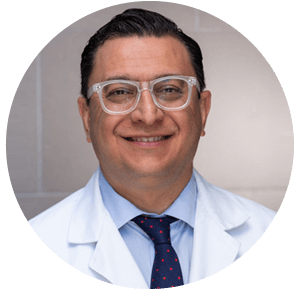 He is a board-certified foot and ankle surgeon with expertise in custom orthotics.